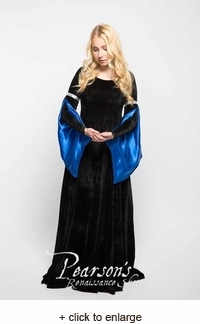 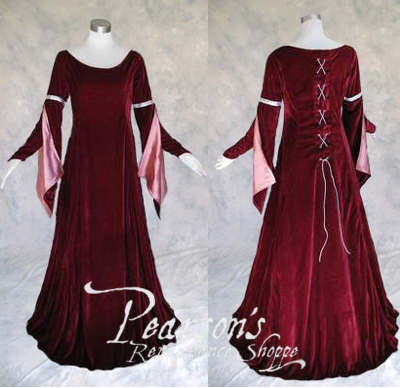 Inspired by late 14th-century fashion, this long, full Renaissance gown is made from a poly-velvet and is accented with colored trim & back lacing, and lining on the arm tippets. 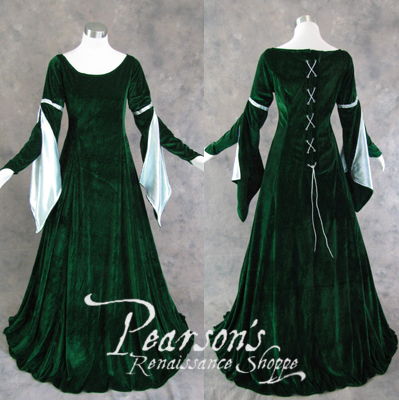 The back of the Renaissance gown laces up (matching silver cord included), and features a fold-over flap under the lacing so if the gown separates behind the laces, your back is not exposed. 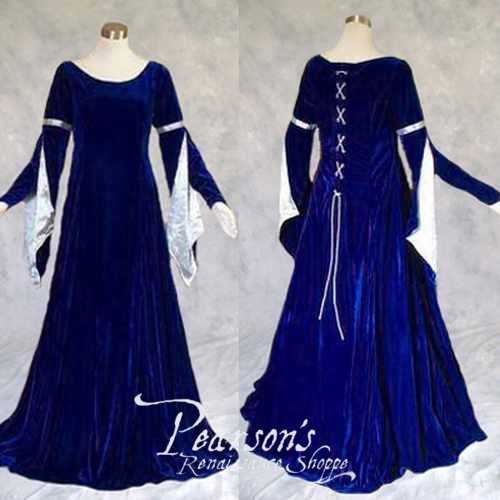 The sleeves feature satin-lined tippets hanging down from the upper arm and a more fitted lower arm. 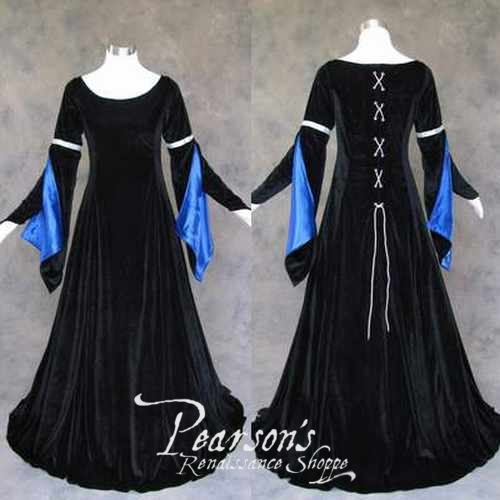 This gives the look of wearing both an over- and under-dress. 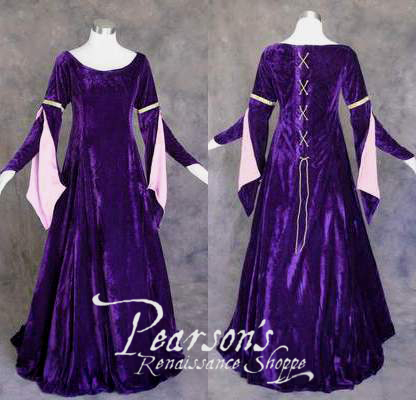 The dress is fitted down to the waist and then flares out from the hips in a voluminous skirt that drapes beautifully.